When it came to naming their new album, the five men who comprise Big Daddy Weave hardly had a choice. The new album all but named itself: Every Time I Breathe. More than a call to worship, their latest project is a call to life. With Every Time I Breathe, Big Daddy Weave surrenders all that they have, and joyfully admit it is not enough. "We finally realized it is not the greatness of our offering, but it is the greatness of the God we are offering to that makes the difference," says singer/guitarist and primary songwriter Mike Weaver. More than a call to worship, their latest project is a call to life. With Every Time I Breathe, Big Daddy Weave surrenders all that they have, and joyfully admit it is not enough. "We finally realized it is not the greatness of our offering, but it is the greatness of the God we are offering to that makes the difference," says singer/guitarist and primary songwriter Mike Weaver. "It is not the greatness of our songs, but it is the greatness of the God behind the songs. When the little boy showed up with two fish and five loaves, it was so not enough; but that is exactly what Jesus used to feed everyone. The reason our offering seems insignificant is because it is. But God is not looking for our significance. He is looking for our availability." Heartfelt words from one of the most popular bands in christian music. 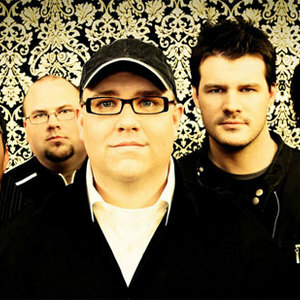 Indeed, One and Only, the group's 2002 debut release quickly cracked SoundScan's Christian Top 5 and Big Daddy Weave was rewarded with a Dove Award nomination for New Artist of the Year. [album artist=Big Daddy Weave]Fields of Grace]/album], Weave's follow-up, was a stunning display of pure power pop from a band chomping at the bit to get their new songs down on tape. On their third outing, [album artist=Big Daddy Weave]What I Was Made For, the group battled the elements as Hurricane Ivan ravaged their homes. But even in the midst of the storm Mike Weaver says he experienced a fresh outpouring of God's grace and presence. It wasn't until it came time to write for Big Daddy Weave's fourth album that the inspiration dried up. "We walk through different seasons," Mike explains. "Summer doesn't look like winter. Winter is radically different, but that doesn't mean it is a bad season. I was in this 'Winter' season of wondering why I couldn't hear God like I used to. Where did God go? So when the label said, 'It's time to cut another record,' I said, 'I've got squat!' But you know what? God never left. He never changed. He never stopped being worthy just because I didn't feel like singing a new worship song. He has been here the whole time, even though encountering Him right now means something different." "It wouldn't have mattered if Mike had brought fifty songs to the table. That doesn't mean they would have been the right songs," says guitarist Jeremy Redmon, who doubles as the band's producer. "We realize we are only doing this because He allows us to. There is a peace that comes with that, because it takes the ownership out of our hands." Joe Shirk, who handles sax and keyboards for the band, also feels the change of seasons. "We can't help but be changed by our circumstances," he insists. "Change has infiltrated our musical ideas because we hear God differently today than we did four years ago." That realization sparked a new excitement in Big Daddy Weave. Worship, they discovered, was not simply what happened on the stage. It wasn't something that was confined to Sunday morning or Wednesday night. It didn't just occur during those 'Shout to the Lord' moments. "Worship goes beyond the rise in popularity of worship music," explains Jay Weaver, the band's steady-on bassist. "It is about how we treat the guy at the cash register at the gas station. Lately I've felt like the woman at the grocery store whose little boy keeps tugging on her skirt. It's like God is continually trying to get my attention. 'It's not just about the music. It's not just about the music. It's not just about the music!' We're beginning to understand that experiencing worship has next to nothing to do with the music." Drummer Jeff Jones says that concept hit Big Daddy Weave like a tidal wave in the midst of leading worship. "We saw people trying hard to make that time on Sunday morning magical," he muses. "We suddenly realized that unless you are practicing godly character throughout the week, what happens on Sunday morning is just going through the motions. What happens during those times of corporate worship is just a reflection of what goes on in your life throughout the week." "Worship is a response," Mike declares. "It is not something that you have to conjure up. Worship always happens when you encounter the greatness and glory of the Living God. Isaiah saw God and said, 'Woe is me!' But after the angel touched the coal to his lips he said, 'Here am I, send me!' How did that happen? I don't know, but it was a response to an encounter with God. Worship should be our response to encountering God all the time. The truth is, we don't always feel like it. But does that mean if you don't feel it you just stop? No. We have a choice. We choose to worship in spite of how we feel." Mike points to the title track (Every Time I Breathe as a perfect example of where the band is right now. "You don't think about taking your next breath," he says. "You don't have breathing on your 'to do' list. If you don't breathe, you die. It is as simple as that. Breathing is a natural part of life. That is what God is calling us to; a lifestyle of worship?to encounter God every moment, as naturally as taking your next breath." While the songs on album artist=Big Daddy Weave]Every Time I Breathe[/album] enhance Big Daddy Weaves' reputation for producing instantly recognizable melodies and tight harmonies, it was the lyrics that the band was most concerned with. "Our main focus has always been about communication," Mike says. "We don't want people to hear our songs and say, 'Whoa, that was cool.' We want people to hear our songs and say, 'Whoa, I understand what they mean.' I think people will really like these songs, and I think they will understand what we are trying to say. But the reality is that these songs are just fish and loaves. Without the touch of God they are just not enough."